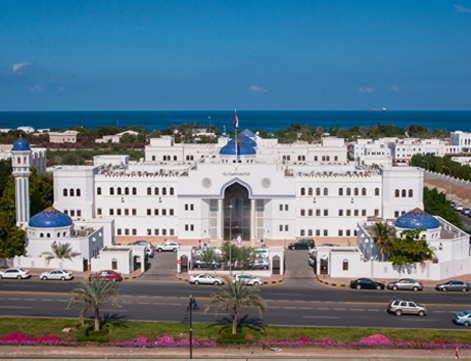 The Ministry of Endowments and Religious Affairs was established in 1997 under the Royal Decree No. 84/97, which changed the name of the Ministry of Justice, Endowments and Islamic Affairs to the Ministry of Justice; also the Ministry of Endowments and Religious Affairs was separated from the Ministry of Justice. This Ministry is responsible for the spiritual and religious values based on the Islamic law in order to build a good citizen on the understanding of believing of Allah and right religion. It also organizes all things with regard to the religious matters inside the Sultanate. The Ministry established a number of directorates specialized in serving Islam and Muslims inside throughout Oman, and the Directorate General of Mosques and schools for teaching Qur'an in all different states and villages in the Sultanate during the Summer vacation, in addition to encourage the participation in memorization of holy Qur'an competitions even outside Oman. It is specialized in constructing Mosques reached more than 10,000 mosques in the Sultanate, contributes in establishing other mosques inside and outside Oman. In the field of Endowments, General Directorate of Endowments and the House money take care of the Endowments funds and its management to be explored in specific fields: such as providing assistance to imams, muezzins and teachers of holy Qur'an, and investing the funds of money house. The directorate belonging to the Ministry is the General Directorate for Endowments Developments which is concerned with the development of endowments and the house of money by investing endowments funds in serving projects. It also established the stock endowment project, which facilitated the contribution of Muslims to participate in the endowment with simple amounts for serving and developing the endowments. Furthermore, there is a directorate for preaching and guidance concerning to everything related to preaching and guidance such as sermons, lectures, researches, imams and preachers; it is also interested in Hajj, Umrah, organizing Hajj for citizens and residents, printing the religious books and others. Iftaa Office is obeying to the ministry; it is specialized issuing religious Fatwas, provides religious lectures and events in different regions of Oman. As well, His Eminence Sheikh Ahmed bin Hamad Al Khalili, Grand Mufti of the Sultanate participated in numerous conferences and symposia at the level of Muslim world with a view to discuss all the matters of Islam and Muslims.